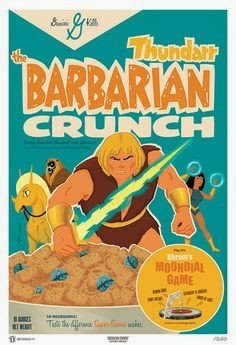 This was an actual cereal? I just saw this for the first time here, and loved it. Because I loved the cartoon as a kid 30+ years ago, every so often since the dawn of the internet age I've done online searches for "Thundarr" and have been pleasantly surprised by how many artists have posted their own, frequently excellent, takes on the character/show. This one is the among the most intriguing I've seen!